What a wonderful day to finish of our season for 2018. 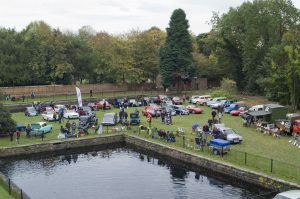 The weather was lovely and a huge range of vehicles and attractions came to see us at Tees Cottage Pumping Station. 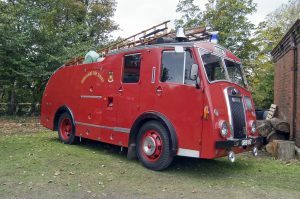 We were delighted to welcome the vintage fire engines along side a number of other vintage engines and cars. 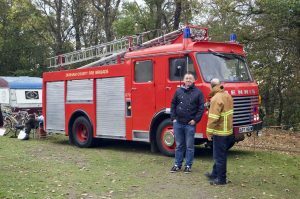 We also welcomed record numbers of visitors. The Tea Rooms couldn’t keep up with demand and sold out, which is great news, when we have a gap between steamings! 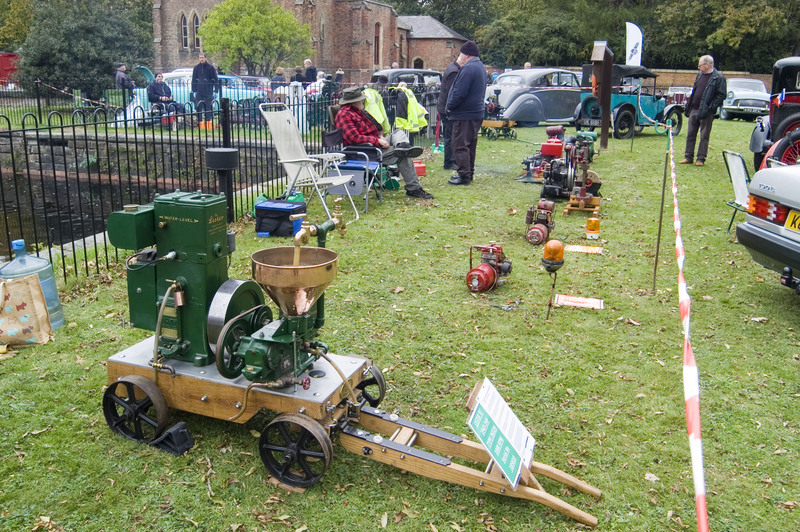 Here’s a small selection of some of the smaller engines and some of the people who visited. As you can see from the shot below it was a busy day. 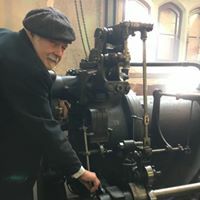 We have increased visitor numbers for a third year running, and this year have had had over 2,200 visitors on site for our Open Weekends. 21st and 22nd April 2019. 11th and 12th May 2019. 22nd and 23rd June 2019. 14th and 15th September 2019. 5th and 6th October 2019. On Monday 8th October we were delighted to welcome West Park Academy to Tees Cottage. 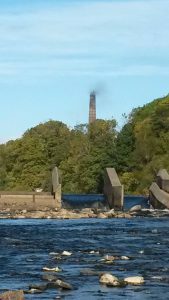 60 childr en and their teachers joined us for half a day to tour the facility, do some filtration experiments and look at wildlife in the River Tees. 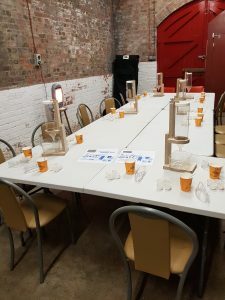 We were really grateful to Christine and Zoe from River Tees Rediscovered and the Tees Rivers Trust, who provided a wonderful set of bug hunting activities for the children. Zoe even took this wonderful picture of Tees Cottage from Broken Scar, which shows us steaming up for the previous weekend’s gala opening! 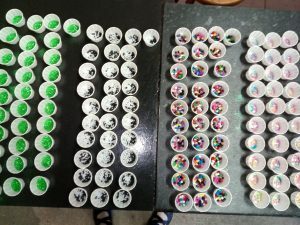 We were able to provide our filtration activity for the children, who ‘polluted’ the water with a selection of brightly coloured pollutants and debris, before filtering them out using the filters. Richard – master filtration expert! 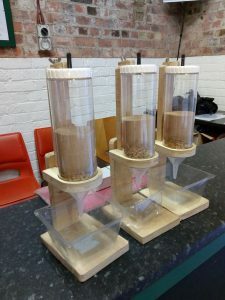 Our filters have been handcrafted especially for schools by our, very own, Richard and the filtration activity is one of the most popular activities for schools. 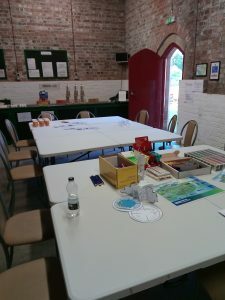 Here we are all set up to welcome the first 18 children to the filtration activity. Change over times between the groups were challenging today, because of the large numbers of children, but plenty of snacks and drinks and one eye on the clock meant we managed most of it smoothly! 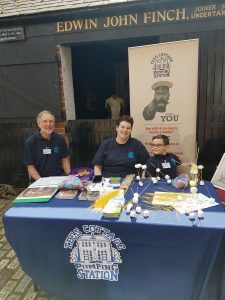 Thanks to all those involved in this event and if you would like to organise a free school visit for your school, club or activity, get in touch with Jim Eason at education@teescottage.co.uk to arrange. We look forward to seeing you. Our classroom ready for action! We were really excited to welcome the first of our school visitors yesterday. A wonderful Year 4 class came to visit us from St Bede’s RC Primary School, Darlington. They were really interested in all the engines, and created their own water filtration units, which filtered our dirty water into cleaner (if not drinkable!) water. 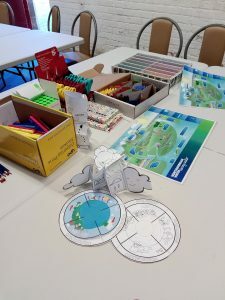 Our visitors also made models of the water cycle and we talked about some wonderful water facts! ‘Debris’ and ‘pollutants’ added to our water before filtration! Thank you to all the volunteers at Tees Cottage who made it a wonderful experience for the children and thank you to Year 4 from St Bede’s, and their teachers for being our fantastic VIP visitors. You are definitely our favourite school visitors ever! Please come again! If you would like to arrange a free school visit for your school, club or activity, get in touch with Jim Eason at education@teescottage.co.uk to arrange. We look forward to seeing you. New Virtual Tours added today! 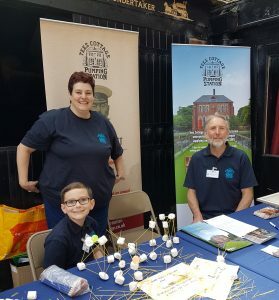 Tees Cottage Pumping Station roadshow crew were out and about at Preston Park Museum, encouraging young people to try a new engineering challenge. This is our new website. Although we are now live it still needs some development, so check back to see how it progresses!